Following a fatal crash last Friday, the National Transportation Safety Board has announced an investigation into Tesla and its autopilot system. The crash occurred in Mountain View, California and involved a Model X. The NTSB will be examining the post-crash fire as well as possible steps to make the vehicles safer for removal from the scene of the incident. It is currently unclear if the autopilot system was active in the moments before the crash and since the crash was so severe, Tesla has so far been unable to recover the data logs from the vehicle. Tesla released a statement about the incident and blames the severity on the absence of functioning crash attenuators. These large metal devices crumple up on impact and help absorb much of the energy in a crash. The attenuator at the spot of the crash had either been removed or crushed previously without replacement. Tesla's data show that since their autopilot system was introduced, Tesla vehicles have driven past this exact stretch of road roughly 85,000 times with no accidents. High voltage battery systems like the ones that power all Tesla vehicles are inherently dangerous and prone to fires in crashes. 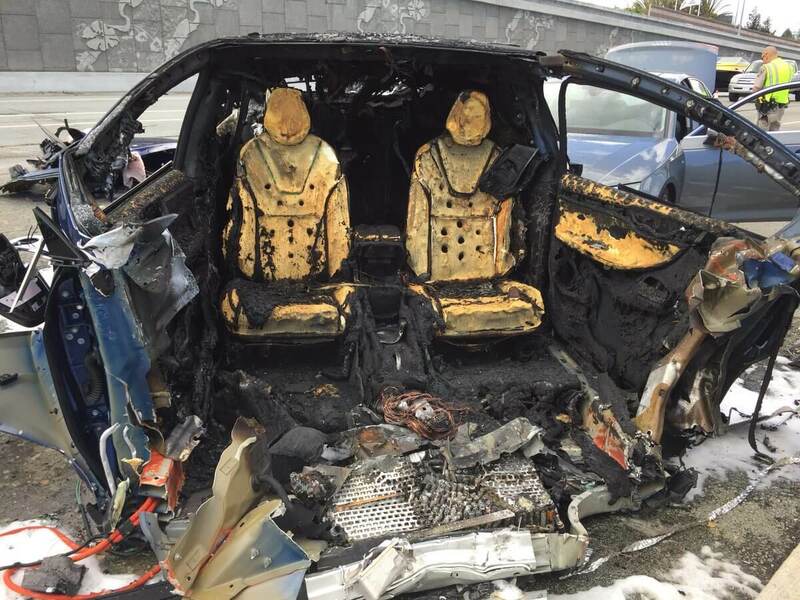 Because of this, Tesla has designed them to slow the spread of such a fire. They estimate that traditional gas powered vehicles are five times more likely to catch fire. Tesla's stock is down double digits this week following the news. Moody's has downgraded Tesla's credit and bond rating as well as putting a negative outlook on the company.